Learn about the many uses of soapstone. Soapstone is a soft rock that mainly consists of talc. It’s a stone that is beautifully rich in deep color and is known for having a soft and smooth texture. It has found a welcomed home in the world of home design and should be a top contender in an industry that usually considers granite to be the king. Here are many uses for soapstone applications in your home. 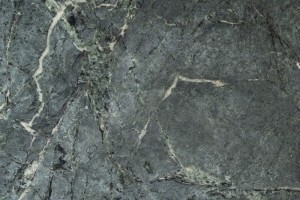 Probably the most common use of soapstone in the home is on your kitchen countertops. It works very well in this application because of its durability. Over the years, it’s been proven that the strength of soapstone can stand the test of time while maintaining its initial integrity. So much so that it’s also a great option for outdoor kitchens. It features thermal qualities that allow it to respond well to the wide temperature changes of the seasons. It’s nonporous so no environmental debris will ever stain or penetrate your soapstone. The same goes for use in your home’s bathrooms. The deep color is known to enhance the room of the room by making it feel warmer and more inviting. In addition, soapstone also doesn’t need any sealing. From the countertops and down to the floor, soapstone will give your home a distinct and classy look. For using as flooring, especially in the kitchen, you’ll benefit from the safety of its texture. Soapstone doesn’t get slippery like other tile options, and its nonporous nature means that it won’t stain or negatively react to the chemicals in your cleaning products. From the inside of your home and onto the exterior, soapstone will give you years of great use. Again, because it can withstand a wide range of temperatures and because it’s nonporous, it makes a great material for use on your patio. Purchase a soapstone table or other decorative elements that add great style and function to your space. This entry was posted on Friday, January 12th, 2018 at 3:16 pm. Both comments and pings are currently closed.